Bitcoin Conference is going to make a mash on Europe. Meet the conference dedicated to the currency of the future in Prague! Everyone has heard about a mysterious currency Bitcoin, but maybe not everyone knows where and what you can spend it on. The world we live in does not tolerate inertness; it is in a constant process of movement and change. One of the tools changing the image of modernity is digital currencies, in particular Bitcoin. A thematic conference devoted to “the currency of the future”, Bitcoin Conference, which was held in 2014 in such cities as Moscow, St. Petersburg and Kiev raises awareness of what is Bitcoin and how to earn on it. Bitcoin Conference has become the first thematic event in the CIS countries, aimed at the acquaintance of participants with the Bitcoin ecosystem and business prospects. Bitcoin meetings held in three cities and two countries were able to bring together prominent representatives of the industry, well-known experts and gurus of the crypto currency market, lawyers, foreign experts who shared their experiences and represented the best practices for working with Bitcoin. In 2015, Smile Expo, an organizer of the conference, is going to push the boundaries and enter the European market, conducting a thematic event in Prague. Smile Expo has deicide to expand the geography of its activities due to several important factors. In particular, one of the catalysts have been changes in the structure of the cryptocurrency market in Russia after the ban and blocking of thematic sites by the Federal Service for Supervision of Communications, Information Technology, and Mass Media. After that, many Russian companies operating in the cryptocurrency industry have moved to Europe, where there are no restrictions for Bitcoin business. In addition, the conference organizer is in an attempt to develop and promote digital currency; and central-eastern regions of Europe are an ideal place for the realization of this ambition. Bitcoin Conference Prague wants to serve as a unique platform for the exchange of experience between Russian companies, which have something to say and to show Europe, and their foreign counterparts. That is why, in the heart of Europe, in the historic city of Prague, the organizers will bring together not only the Czech Bitcoin community, but also participants from Russia, Poland, Slovakia, Hungary, Germany, and in general all Bitcoin enthusiasts of Central and Eastern Europe. Bitcoin Conference. Prague: what to expect? Buffet table –new acquaintances and experience + party in the style of the best traditions of Czech beer events. 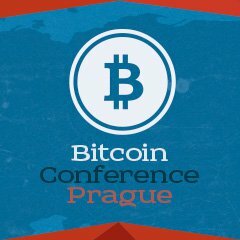 The Bitcoin Conference Prague team invites speakers, exhibitors, sponsors and partners to participate. Become a part of the main European Bitcoin event in the spring of 2015! Join us, as Bitcoin Conference Prague is simply impossible to miss! To get detailed information about Bitcoin Conference Prague, please go to official event website bitcoinconf.eu.